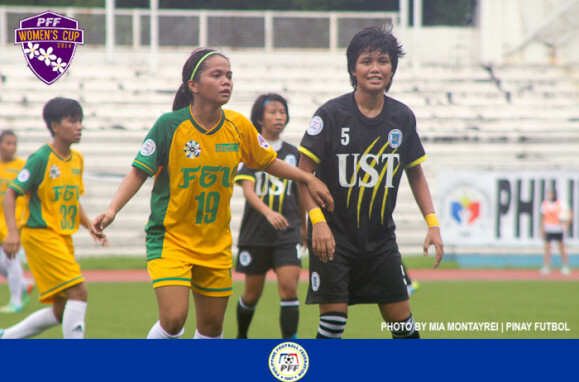 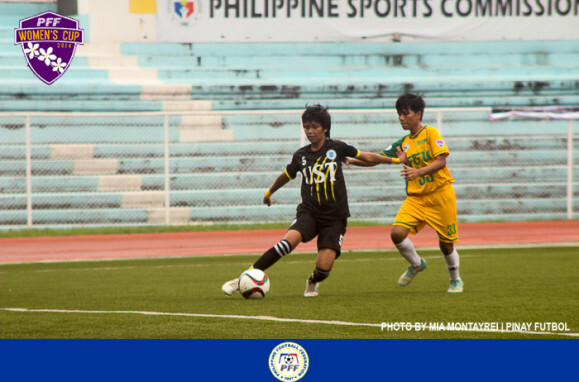 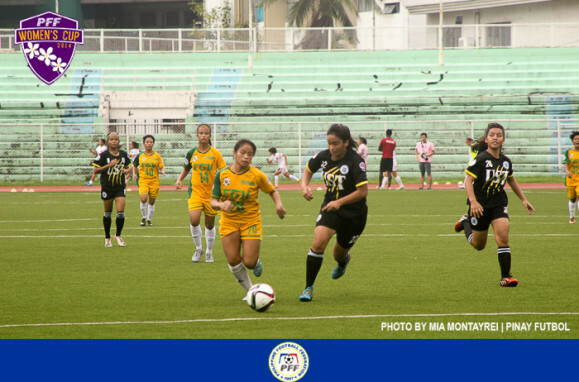 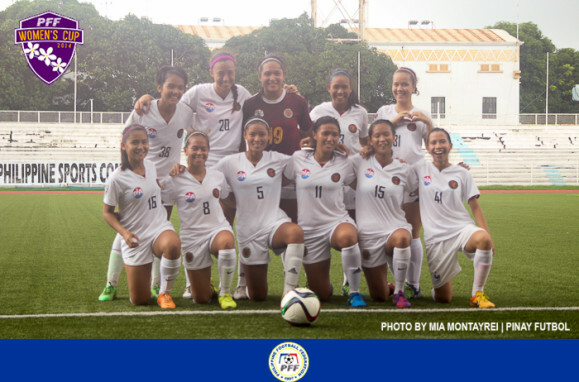 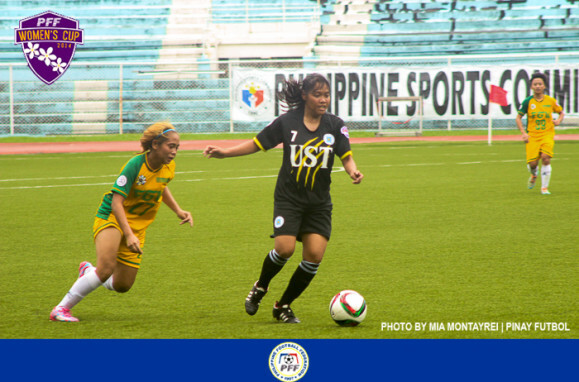 University of Santo Tomas finally entered the fray of the 2015 PFF Women’s Cup and they did so with a big win over Lady Tamaraws FC. 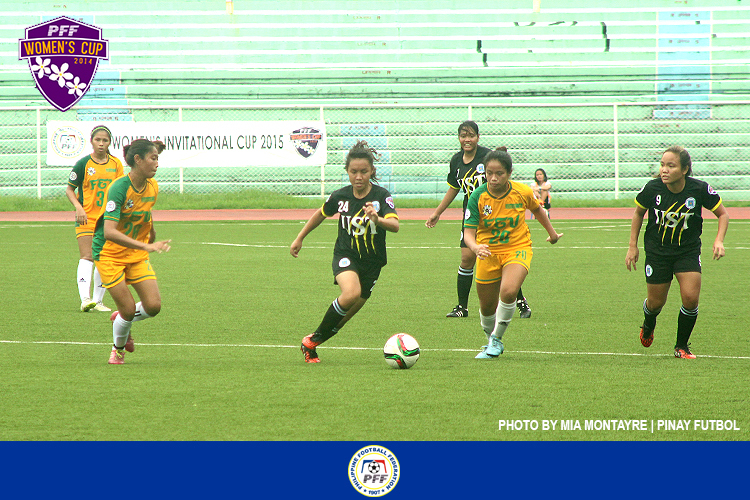 The first half was a scoreless affair with a handful of chances for either side but it would be the Tigresses dominating possession, eager to already make a mark in the tournament. 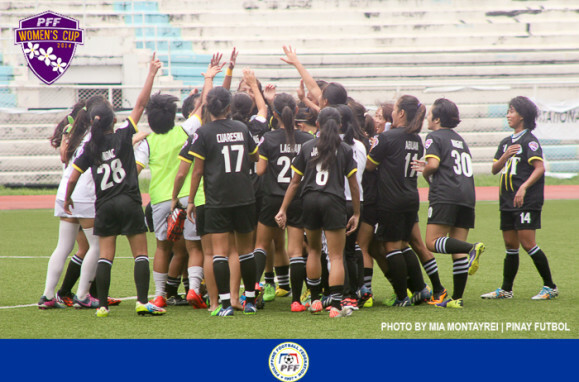 UST did not let up on their attack in the second half led by the efforts of Jennizel Cabalan, and this paid off with a goal eight minutes after play was resumed. 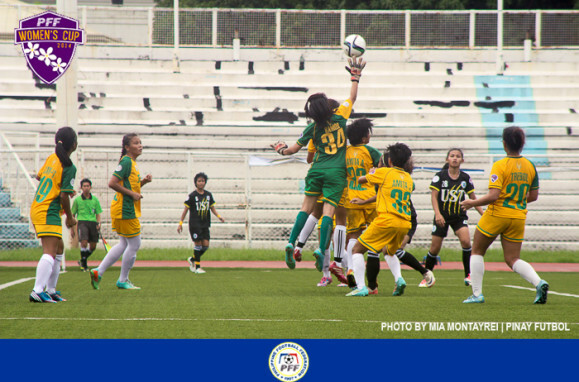 A chance came in the box for Cabalan who fell down grimacing from a foul the referee missed but her teammate Trixia Jalbuena took advantage of the confusion and scored with an easy tap in. 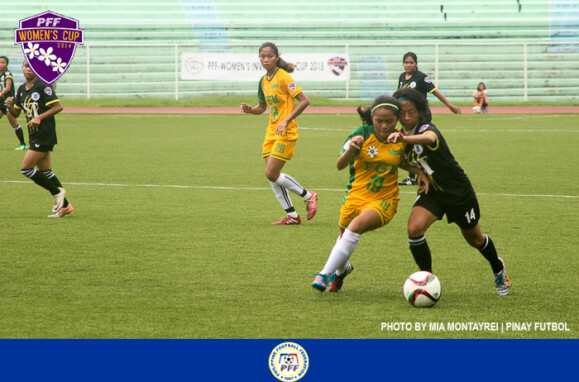 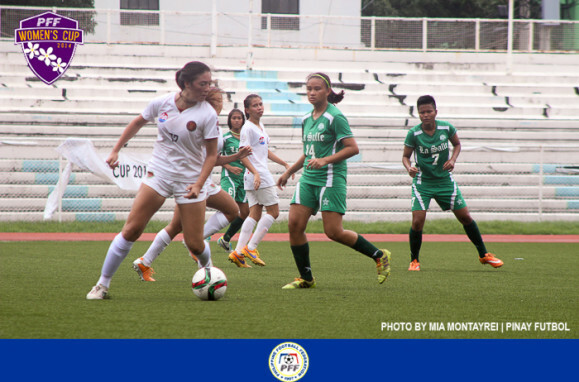 The Lady Tamaraws would mount a counterattack to try and draw level but the debutants held on firmly. 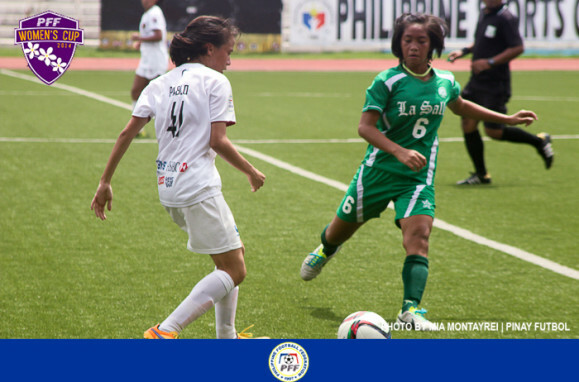 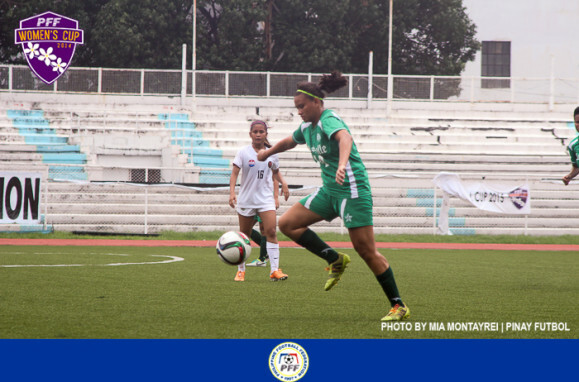 Keeping momentum from their opening game win and bolstered by the return of first choice keeper and captain Inna Palacios, De La Salle grabbed control of the game with most of the action taking place on University of the Philippines’ side of the field which put goalkeeper Nic Adlawan on her toes. 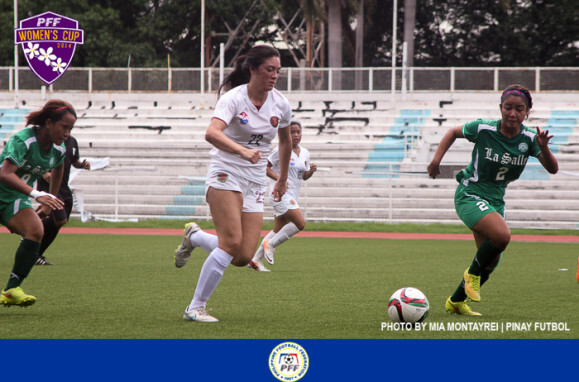 The midfield partnership of Kyla Inquig and Irish Navaja was doing wonders for the team regaining each lost possession for the Taft-based squad and smoothly transitioning it to attack. 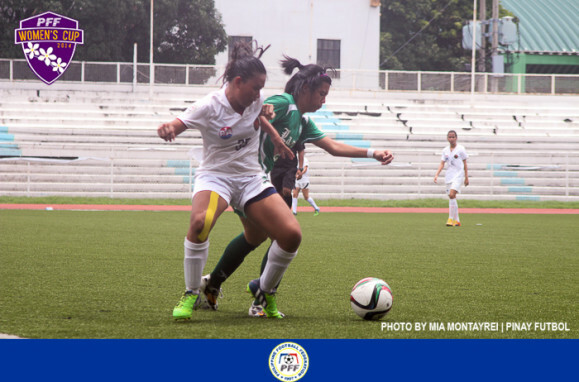 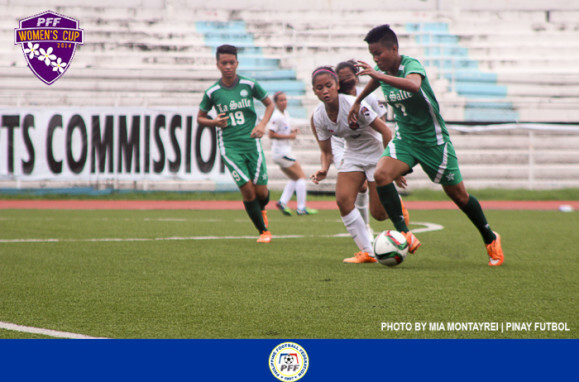 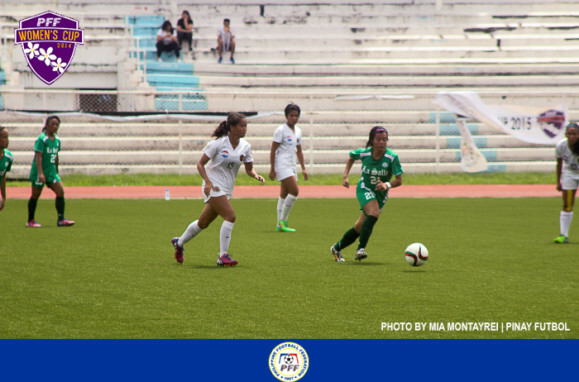 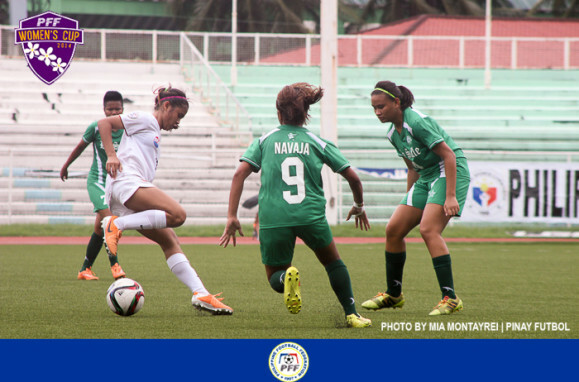 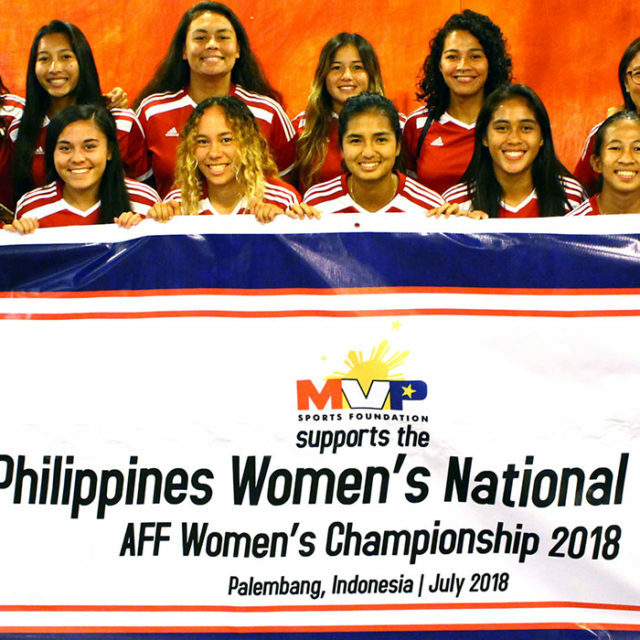 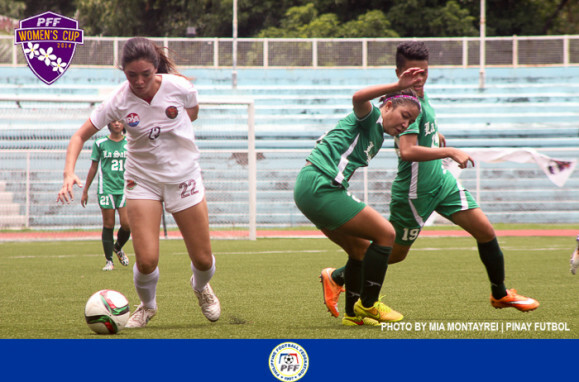 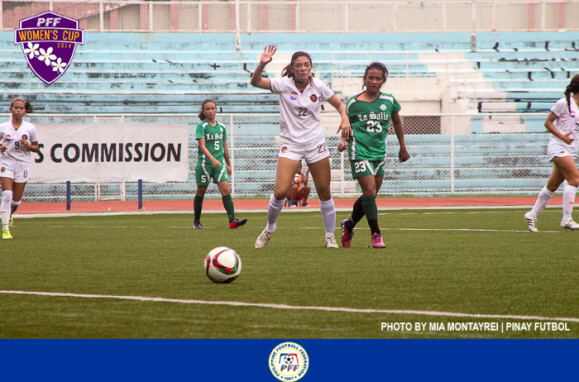 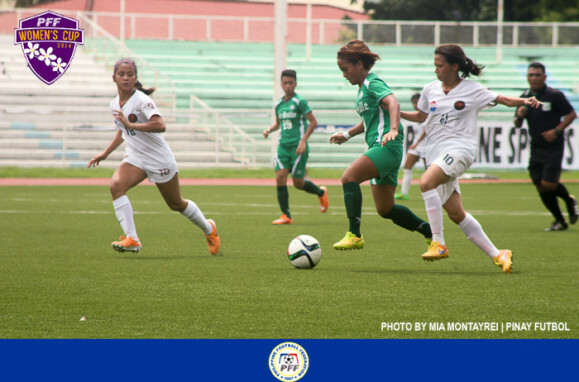 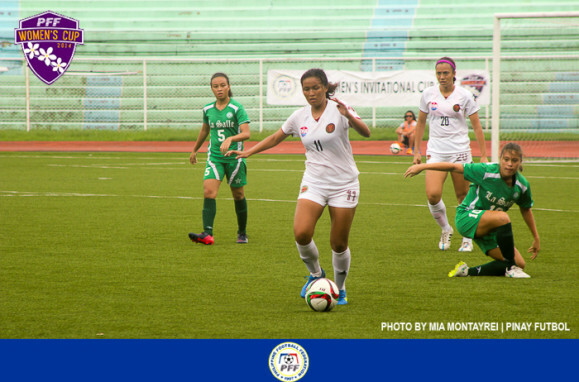 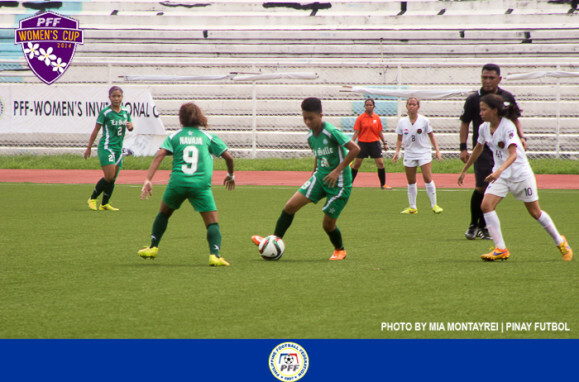 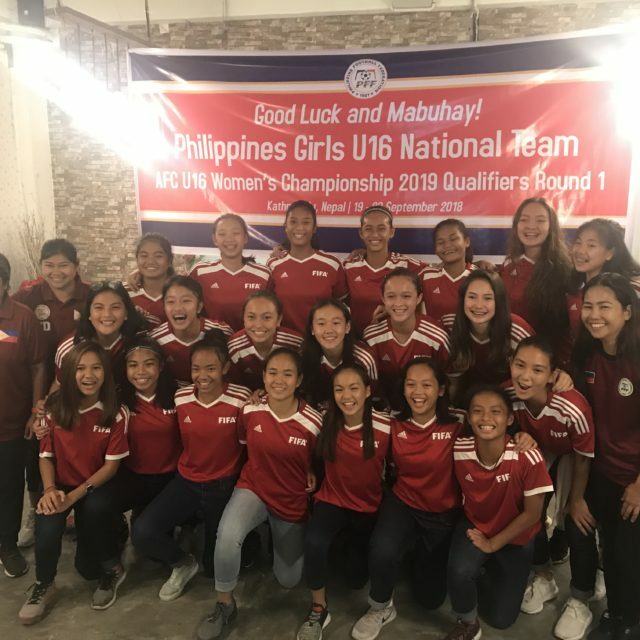 A goal was forthcoming for the Lady Archers, which came three minutes before halftime as Chelo Marie Hodges pounced on a ball the UP shotstopper failed to secure off a free kick. 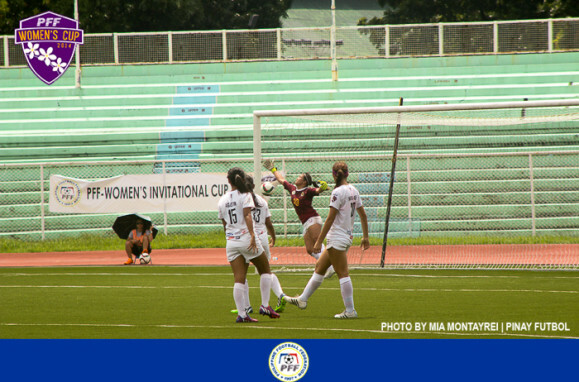 Key substitutions at halftime which put Kali Navea-Huff and Sabrina Nierras into the game proved effective for the Lady Maroons as they slowly wrested control from the Lady Archers. 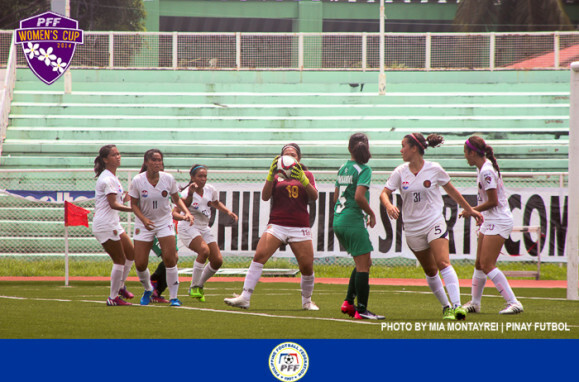 Strong play down the right wing with passes connecting to the attacking front gave UP-X a handful of chances that lacked finishing. 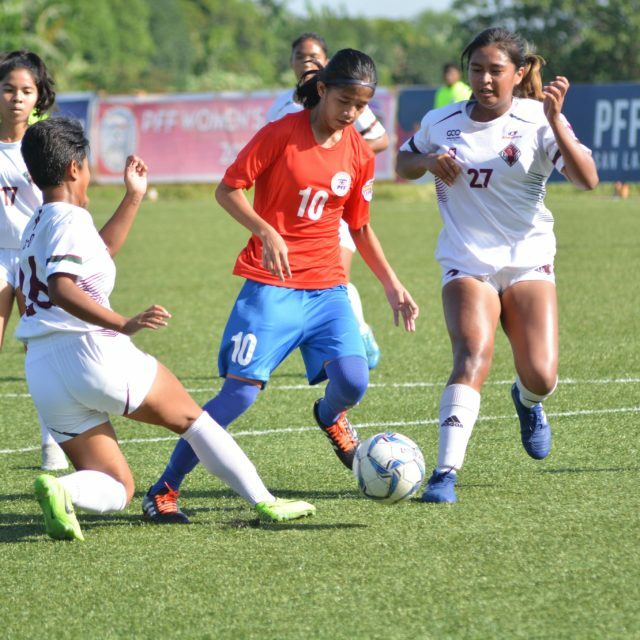 Play was halted for a while when Marie Navea-Huff had a nasty collision with Palacios on one such attack but she was cleared to return to action moments later. 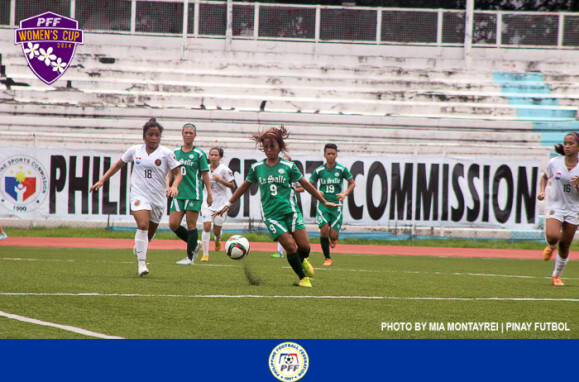 DLSU would not back down and responded with attacks of their own resulting in near misses that could have doubled or tripled their lead. 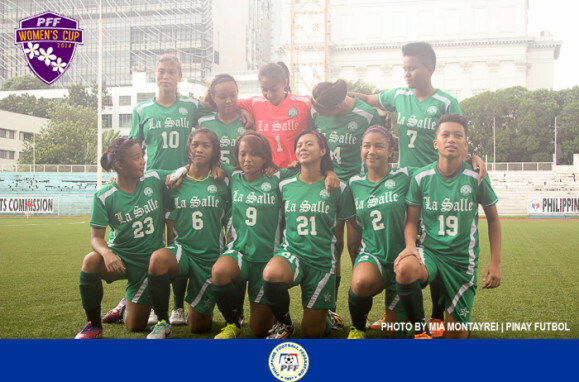 In the end, the final whistle sounded giving De La Salle University their second straight win.